On the territory of our country now there are already registered 4660 SES of a private nature - Альтернативная энергетика - статьи и новости в мире и в Украине. This number of solar stations is a record for Ukraine. It should be note that the Ukrainians are increasingly resorting to the installation of solar power stations every year. 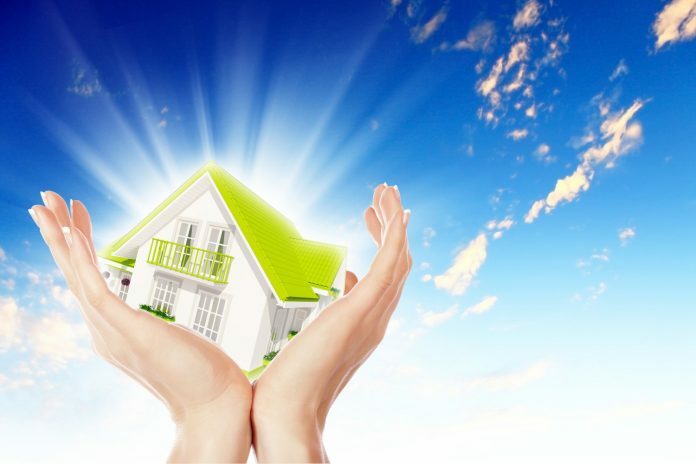 The obvious savings and additional earnings opportunities in the form of a home SES confirmed its practicability in practice and now its popularity grows like a snowball. The second quarter of 2018 added another 1107 to the existing number of private solar stations. These figures are twice the number of stations installed during the first quarter of this year. To date, the number of owners of SES in the territory of households is 4660. The total capacity of all these facilities is about 90 megawatts. Financial investments in this area of ​​alternative energy are estimate at 88,000,000 euros. The State Energy Efficiency Agency reports that such a sharp jump in installed capacity is associated with the adoption of a law on the binding of a “green” tariff to the euro. This bill touched upon those stations of a private nature, which have a power of less than 30 kilowatts. Leading positions on the number of solar stations installed in private homes, occupies Kiev, Ternopil and Dnepropetrovsk region. The benefit of a private solar station for its owner is obvious, but do not forget about the global significance of each SES. These capacities allow the country to distribute energy production from RES, thereby creating a balance of the energy system. As an example of the profitability of the solar station, let us quote the story of Igor Klymenko, a resident of Poltava. 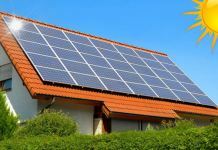 The man installed solar panels on the roof of the house and outbuildings, the total capacity of which was 23 kilowatts. For one month, he manages to earn electricity sales of about 12 thousand hryvnia (in winter). In total, there are about 86 photovoltaic cells on the territory of his household. The area they occupy is 130 square meters. It should also be note that income in winter and summer from home SES is different. Igor Klimenko’s summer profit makes about 20 thousand hryvnia per month. 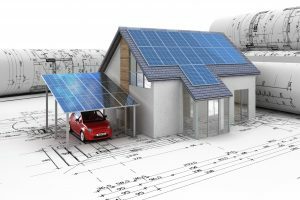 Each photoelectric module occupies about one and a half square meters, so the owner decided to divide them by installing a part of the panels on the roof of the house, and the rest – on the shed. Klimenko Igor argues that the documentation for his homeownership is formalize on a SES with a capacity of 30 kilowatts. While the owner does not have free money to expand the station, and his income is quite comfortable with the available capacity. However, in the long term it is plan to deliver modules to the future, so that the station would correspond to the documents and have 30 kilowatts. The owner of the station also told that the transfer of data from the station about the amount of generated energy is carry out via the Internet. To keep track of these data, Igor needs to visit his private office from a mobile phone or computer. The increased demand for the installation of solar stations in private homes stimulates the development of solar energy in general. As proof of this – the opening of a plant for the manufacture of photovoltaic modules in the city of Energodar. Now Ukrainians have the opportunity to purchase equipment of domestic production. The appearance of such enterprises allows to organize new jobs for the local population, and to enrich local budgets at the expense of rent deductions.